It is very typical for empires to keep the gold hoard of their colonies and dependent states, he said in his interview with the Russian news channel RT. The decision to claim it back does not please Washington as such, but it is very important for the independence of those states. Historically, the stability of national currencies was based on their reserves of precious metals — gold, silver and platinum. During uncertain times, when the economies of countries which are lucky enough to be printing widely-held reserve currencies falter, central banks return to the security of gold. Interestingly enough, in the early twentieth century, the most reliable currencies in the world were the British pound and the Russian ruble, which were 100% backed by gold. London was a global issue center. However, in the 1940s, Britain's financial system, undermined by World War II, relinquished this position to the United States of America, which was considered too far away to be threatened by European wars. This process was facilitated by a system of lend-lease, in which supplies of arms, equipment and strategic materials to recipient countries were paid for in gold. 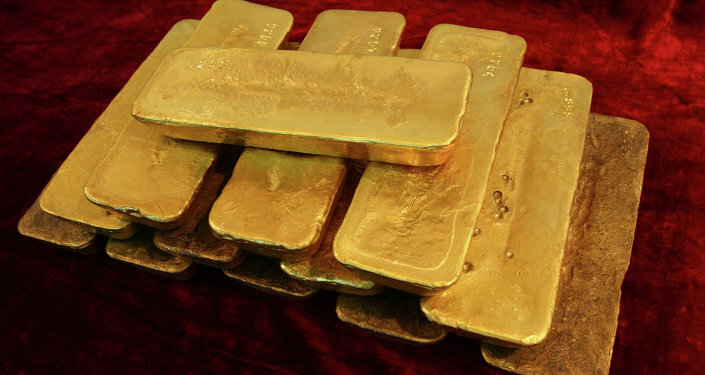 As a result, the US built up its gold reserves from 13,000 tons in 1938 to 21,800 tons in 1949, concentrating 70% of the world's reserves of the yellow metal in one place. The second source of gold income for the US was the Bretton Woods financial system, created in 1944, which made the paper dollar equivalent to gold. This system included the creation of the International Monetary Fund and the International Bank for Reconstruction and Development (World Bank); all settlements between them were either in dollars or in gold. 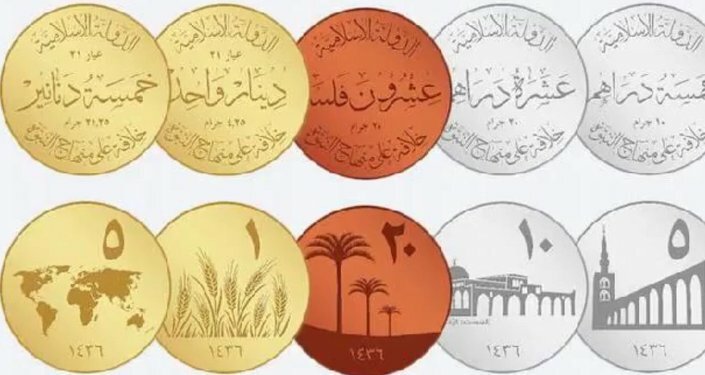 The founding countries contributed in gold, and in dollars bought with gold. The Federal Reserve Bank of New York, acting as a financial regulator, used the buying and selling of gold to establish a Gold Pool, in which the central banks of seven Western European countries (Germany, the United Kingdom, France, Italy, Belgium, Netherlands and Switzerland) were forced to participate. Participants in the pool were compensated for the excessive selling of gold by this organization from America's own gold reserves, and profits were shared at a ratio of 50:50. Half went to the US, the other half to all the other participants in the pool. In 1959 France alone lost $3 billion by participating in this Gold Pool. This European dependence on the US was disturbing for many people. Charles de Gaulle once said: “While the Western countries of the Old World are subordinated to the New World, Europe cannot be European”. In 1965, he demanded that the United States exchange $1.5 billion dollars for gold. America had no choice but to agree. In two years, de Gaulle made US gold stores 3,000 tons lighter. Following this, Germany and other countries made the same exchange. And by 1970, the gold reserves of the United States had decreased by more than half, to 9,838.2 tons. Since that time, the volume of issued cash and, most importantly, non-cash dollars, has been impossible for Americans to cover with precious metals, and in 1971, President Richard Nixon announced his “temporary” refusal to convert dollars into gold. Attempts to restore the security of the American currency via two dollar devaluations failed, and in March 1973, the global financial system moved from a fixed exchange rate against the dollar and gold to a value defined on the basis of supply and demand. Gold obtained the status of a commodity, while the US dollar was now traded using a new standard of value.